Improve order accuracy. Mobile order management helps eliminate paperwork and reduce data entry mistakes. Taking orders using tablets and smartphones allows company to completely refuse the use of paper forms, which means no more re-entering orders. Increase the efficiency of your sales workforce. Mobile order management reduces the time for order processing, allowing your sales reps and their managers to concentrate on more important things than manual data entry. Enhance better customer service, shipping faster. 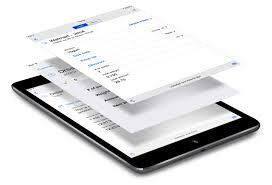 Orders, taken by sales reps on a smartphone or a tablet, instantly sync to a company’s back office and are available for further processing by sales managers. Acquire more customers. Mobile order management solutions allow field reps to add new customers to the corporate database on the go, in just a few clicks. VisitBasis Retail Execution is a Cloud-based order management software solution allowing sales reps and their managers to take orders, perform all kinds of merchandising activities, collect store data, and create analytic reports using Android and iOS tablets and smartphones. With thousands of users worldwide, 7 languages available, and 24/7 access to corporate database from anywhere, VisitBasis Retail Execution is a comprehensive order management app that suits all sizes of businesses. VisitBasis Retail Execution Software works seamlessly with iPads, iPhones, Android and iOS tablets and smartphones, enabling sales reps to quickly make orders at points of sale. With must stock lists, recommended order quantities for each item, and historical order data it’s easier for sales reps to make reasonable orders. Automated data entry and mobile tools like built-in bar code scanner and electronic signatures, make order taking faster eliminating mistakes. Register today at www.visitbasis.com to get your free trial.